The easiest way to pour concrete footings for a pergola is with a concrete footing form tube. Available in 8″ and 12″ diameter tubes. You choose the diameter (8 inch or 12 inch); the length (2 feet or 4 feet depending on where the frost line is in your area and how deep your footing needs to be); and the quantity (you will need one concrete footing form tube such as Sonotube, Quik-Tube, or equivalent) for each post – select the quantity that corresponds with the number of posts). Add to your cart and we will send your selected concrete footing form tubes along with your pergola kit. These extra-strong DIY concrete forms are made of multiple layers of high quality fiber, spiral wound and laminated with a heavy-duty adhesive. A special coating resists moisture and facilitates even curing. Builder’s tubes are designed for below-grade use, but may be poured to three feet above the ground line. They are not designed to be stripped. No bracing is needed unless used two feet above ground line. Even then, bracing requirements are minimal. 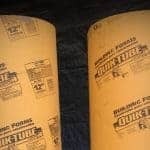 To view more info about how these form tubes are used please click here to view the post information page. 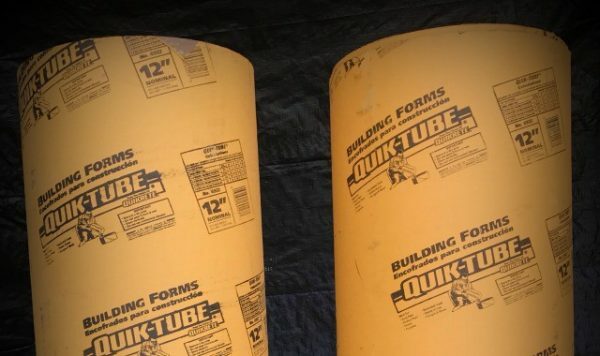 Reference the applicable chart for the Sonotube or Quik-Tube to figure out how much concrete you will need to fill the form tube upon pergola installation.